Rose watched while Gaz moved around the console when he turned around and leaned against it. "Still no way of getting back to the our universe?" she asked. He had been trying for hours to find a way to cross over to their original universe and he wiped his face with his hands. "Not a sausage," he sighed and walked to the jump seat, sitting next to her. "You know, you said he was on his next to last life. How did you know that?" she asked and he leaned back against the cushion. "Remember the first time I got sick?" he asked. He had woken her up in the middle of the night and kept screaming he didn't want to go. He had slid out of bed and went into a series of strong seizures until he passed out. He woke up three days later. "Are you telling me he had regenerated that time, too?" Rose asked. "Yeah," Gaz sighed then got up and walked out of the room. She got up then followed him out of the control room and down the long hallways. She liked that he kept the wood paneling and the round light nodules and little lights in the walls twinkled like fairy lights. He kept walking until he came to a pair of large, wooden doors and he snapped his fingers. The large, wooden doors opened while the lights clicked on and he led her into the room. "What is this place?" she asked as they walked by the display cases and he placed his hands in the tan long coat pockets. Unlike the Doctor's coat, the pockets weren't bigger on the inside and he flexed his fingers. "This is the memory room," Gaz said as he looked at one of the display cases. Behind the glass was a hat box covered in pink silk and fabric roses covered the lid. Rose saw the look on his face while Gaz placed his hand on the glass and blinked his eyes a few times. "Donna loved hats." "Why are we in here?" she asked while Gaz walked away and headed for the gold framed paintings on the wall. "I need to show you something," he said softly and she walked to him. A floor to ceiling landscape sat in a gold frame and she looked at the burnt orange sky, the twin suns, the red grass and the domed city sitting between two large mountains. "That's Gallifrey." "It's beautiful," she said then jumped when the red grass started moving and he smiled. "The grass just moved!" "It's a three dimensional painting," he said and slid his hand in the painting. He could feel the red grass moving under his hand as she looked at him and he closed his eyes. "It's a captured moment in time." "You mean we could go to that city over there?" Rose asked, pointing to the domed city. "If you want to," he said as he stepped into the painting and turned, looking at her. Cautiously, Rose stepped in the painting and took his hand. "This is…amazing." "Come on," Gaz said while they walked through the red grass and she looked up at the burnt orange sky. Placing his arm around her, he held her against him and she placed her head against his arm. They walked for a long time when they stopped near a group of trees and she saw that the trees had silver, hexagonal leaves. Reaching up, she moved her fingers over the leaves and the leaves made a soft tinkling noise. "You should see what the trees look like at sunset." "What do they look like?" she asked as he sat down and leaned against the trunk of the tree. "They look like they're on fire," he sighed and she sat next to him. "And this is where the Doctor came from, yeah?" "Yeah," he said with a small nod of his head. "Then why did he leave?" "There were a lot of reasons." "Would you have left?" she asked and he looked up at the silver hexagonal leaves. "No," he sighed and she snuggled next to him. They sat in silence for a long time when he moved her away from him and stood up. "Ok, enough of this shite. Let's get going." She got up when he knelt down on his haunches and she laughed, getting onto his back. Wrapping her arms around his neck, she held on as he stood up and walked away. None of the Time Lords noticed two strangers as Gaz and Rose peeked out from behind the pillar and he nodded his head. He took her hand as they walked into the main plaza and Rose looked up at the tall buildings. Most of the buildings were domed and had large, glass windows and hover cars moved slowly overhead. "That beats zeppelins any day of the week," she whispered and he gently nudged her. 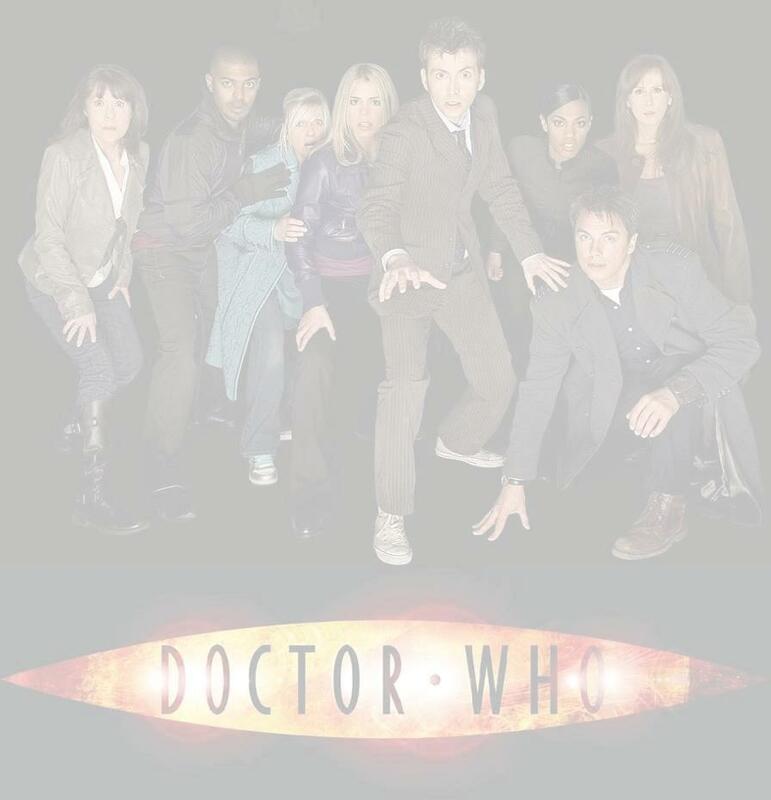 They walked along the pavement as Rose looked around and noticed that some of the people wore the robes of the Time Lords while other people wore plain garments and boots. "What up with that?" "Oh, see, those are Time Lords," Gaz said, pointing to three men wearing red robes and arched head gear. "Those over there are just Gallifreyans." "So it's like a class society with an upper class and a lower class." "Yeah, something like that," Gaz said then pulled her behind a column. Gaz had seen the Doctor coming down the pavement and was a little embarrassed. He knew what the Doctor's sixth life looked like and knew Rose would tease him endlessly if she got a glimpse of him. "What's wrong?" she asked while trying to see around him, but Gaz gently held her back then looked at her. "I saw the Doctor," he finally said. "Then why didn't you let me see him? This is, after all, a memory. He wouldn't remember meeting us." "That's true. But why risk it?" Gaz asked and she lightly laughed, rolling her eyes. Taking her hand, they walked from behind the column and walked down the pavement. He showed her where the Academy was as well as some other buildings when he stopped and looked up at the large, white stone building. "What's in there?" Rose asked and he felt his heart slamming in his chest. "That's the Senate," Gaz said softly. "Can we go in?" she asked when he frowned and scrunched up his nose. "Nah, it's boring," he said when he glanced up and saw a Time Lord dressed all in black and his heart froze in his chest. The cold eyes seem to lock with his as the wind blew through the white hair peeking out from under the head gear and Gaz slowly backed up. "We have to get out of here." "Why?" Rose said, but he didn't answer until they got back to the entrance of the painting and he stepped out of the painting. Rose followed him when Gaz looked at the ceiling and the painting and golden frame vanished. "Why did you do that for?" "I had to get rid of it." "You had to get rid of it?" Rose asked as he stormed out of the room and she half ran to catch up with him. She found him in the control room as he looked at the screens and she could tell he was upset. His body was shaking and he flexed his fingers into tight fists. She slowly walked to him when she placed her hand on his back and he spun around, glaring at her. His soft, chocolate brown eyes were now black and she knew they only did that when the Doctor was furious. "Alright, I want to know what's going on." "I can't tell you," he said and lowered his head. She placed her hands around him then placed her head against his chest and his heart slammed in her ear. He rested his chin on top of her head while holding her and smiled while she gently rubbed his back. "You promised me you would always tell me the truth," Rose said and he kissed the top of her head. "You're right," he said as he let go and placed his hands on her shoulders. "But what I have to tell you will change the way you look at me and the Doctor." "There was a Time Lord at the top of the stairs and I recognized him." "Was he someone the Doctor knew?" "No, he was the Doctor," he said and she gave him a confused look. "How could he be the Doctor if the Doctor was already there?" "That's the part you're not going to believe," he said. "See, there comes a time between the Doctor's eleventh and twelfth lives when he becomes, well, not the Doctor." "All of the pain, all the sorrow, all the negativity inside him will break free and he will become something far more dangerous than any Cyberman or Dalek." "What will he become?" Rose asked and Gaz sighed, brushing the hair out of his eyes.